This is a very traditional hotel, built in a Historic Monument in the district of Miraflores. His unique experience in terms of quality and comfort will be unmatched by the warmth of a traditional house in Miraflores that retains much of the architectural richness and detail that have been known to care and cherish throughout the years. The hotel has a classic and cozy decor. In every corner of the hotel you can see antique that give a special character to this property. The location is unmatched. The hotel is a few meters from Parque Kennedy where is easy to find restaurants, libraries, shops, cinemas, banks, galleries and others. Enjoy international cuisine at qp Cafe Lounge, a restaurant which features a bar and a pool view. You can also stay in and take advantage of the room service (during limited hours). A complimentary buffet breakfast is served daily from 6:30 AM to 10 AM. 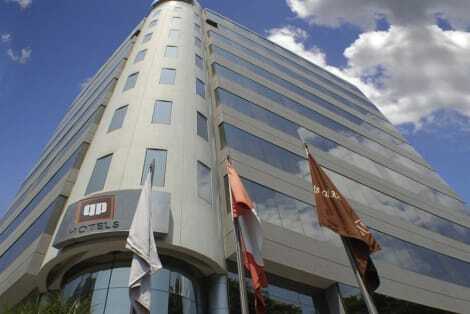 This hotel is located in Miraflores residential district and it has great location for business or tourism. Close to shopping, dining and recreation areas are located. In addition, a few minutes walk away is the Larcomar Mall, Cultural Center Ricardo Palma, the Villena bridge, Love Park and Waikiki Beach. The restaurant has a lounge bar located in the hotel's terrace. You can enjoy an excellent view of the city and the sea. The rooms are decorated with a warm colors, offering the necessary comforts for a pleasant stay. The Hotel facilities provides a peaceful atmosphere for a memorable vacation.